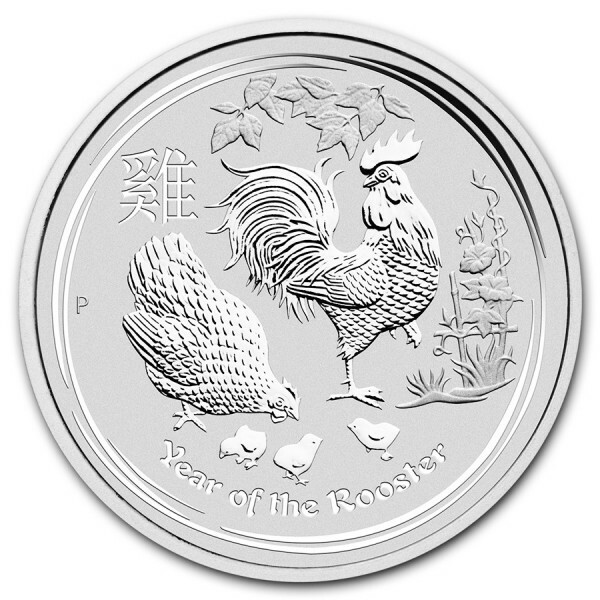 The 2017 1 Kilo Silver Lunar Year of the Rooster coin features a rooster, a hen, and three chicks standing amongst bamboo foliage and flowers. The Chinese character for ‘Rooster’ and the inscription ‘Year of the Rooster’ also appear in the design with The Perth Mint’s traditional ‘P’ mintmark. The Ian Rank-Broadley likeness of Her Majesty Queen Elizabeth II and the monetary denomination are shown on the obverse. This beautiful Silver Coin contains 1 Kilo of .9999 fine Silver! 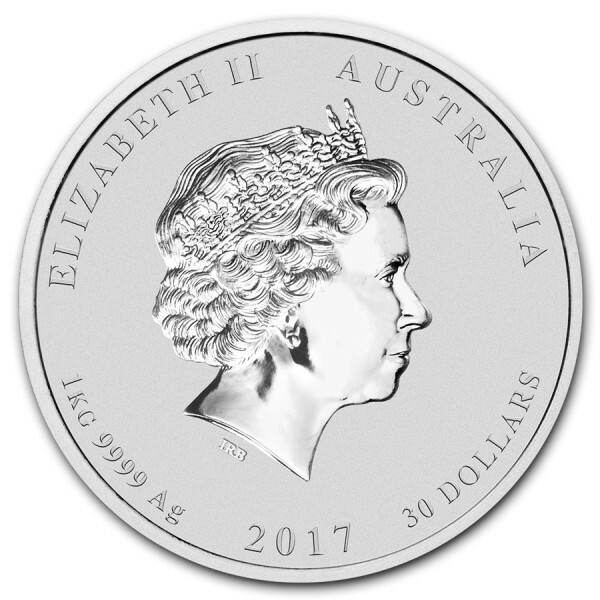 The 2017 1 Kilo Silver Australian Year of the Rooster Series II coins come in clear, plastic capsules. The capsules are great for protecting and storing your one-of-a-kind Silver coins. In the Chinese Lunar Calendar, 2017 is the Year of the Rooster. Those born under the influence of this sign are said to be hardworking, loyal, honest and sociable. These traits are flawlessly portrayed in the Perth Mint's 2017 Year of the Rooster coin.